Hip-Hop recently celebrated its 45th "Birthday" this past Saturday, August 11th on the anniversary of DJ Kool Herc's now-infamous Back-to-School Jam at 1520 Sedgwick Avenue AKA The "Rec Room" in The Bronx. Hip-Hop has gone through many stylistic permutations in the 44 years since, inadvertently birthing multiple sub-genres including: Boom-Bap, Gangsta/Mafioso Rap, Electro-Rap, Trip-Hop, Noise Rap, Chopped & Screwed, Trap/Drill, Horrorcore, New Jack Swing, Backpack Rap, and more. However, one of my personal favorites sub-genres of Hip-Hop is Instrumental Hip-Hop—no, not Breakbeat or J Dilla's Beat CD '05-style beat tapes—think, something more along the lines of The Roots with self-played interpolated "samples," rather than sampling actual records, tapes, CD's, etc. Aside from The Legendary Roots Crew, one of my favorite Instrumental Hip-Hop groups is Truth & Soul/Big Crown Records co-founder Leon Michels' El Michels Affair, who painstakingly constructed Wu-Tang Clan-flipping genre benchmarks Enter: The 37th Chamber & Return to The 37th Chamber. A few additional note-worthy artists within the sub-genre are Bacao Rhythm & Steel Band, Brownout/Brown Sabbath, Butcher Brown, Clutchy Hopkins & The Misled Children, DJ Premier & The Badder Band, The Menahan Street Band, The Whitefield Brothers, and Madlib's Yesterdays New Quintet. Now, one of the aforementioned groups, The Bacao Rhythm & Steel Band (BRSB) have returned with their second album and thank to Mike Lewis at Lewis Recordings/Rap & Soul Promo/Three Pin PR, I was fortunate enough to interview their band leader and multi-instrumentalist, Björn Wagner. Across two albums and various singles, The Bacao Rhythm & Steel Band has re-interpreted everyone from 50 Cent to Cat Stevens. Please, feel free to peruse our comprehensive interview below, while you listen to BRSB's phenomenal steel pan-accented The Serpent's Mouth. It's now available to purchase or stream in multiple formats from Brooklyn-based Big Crown Records. I. 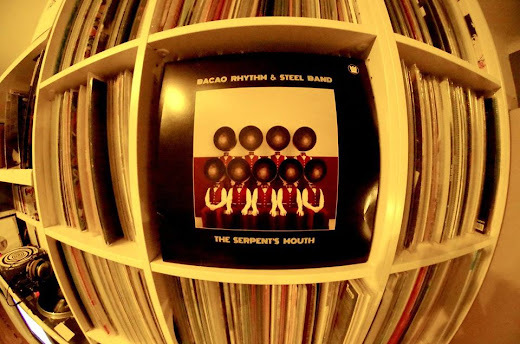 How, in your opinion, has Bacao Rhythm & Steel Band (BRSB)'s sound progressed and grown between The Serpent's Mouth and the band's 2016 debut, 55? I was recently reading this record implements some newly-discovered recording techniques, as well. The sound has improved, as I used a room with a wooden floor and walls for the pan recordings. It has a beautiful air, so I could mic the instruments from a greater distance. Concrete and carpets require closer mic placements, which, in turn, emphasize the noise portion. That wooden room has a ring that emphasizes the actual tone nicely. Another key factor is that I put the mixing in the trusted hands of my brother, Steffen, who worked a miracle to make the recordings sound "as one," which is crazy, when you consider in how many places and with how many different musicians they were recorded. II. Who are the members and various players within Bacao Rhythm & Steel Band? How did you first meet and decide to start recording music together? The Bacao started as a side-project of The Mighty Mocambos, which is a horn-led Funk band. We had been playing together since we were teenagers and so, [we] just added another family of instruments and gave it a different name to hint at the sound. III. How exactly do you go about deciding which songs to re-imagine in your unique steel drum-accented Soul/Funk style? For every song that appears within 55 & The Serpent's Mouth, how many more compositions did BRSB attempt to record and ultimately, end up scrapping? I go by what I would love to hear, personally, and bounce ideas back-and-forth with Danny Akalepse from Big Crown, who always comes up with a list of suggestions, out of which, I cherry-pick the ones that I 100% "feel." A cover has to have a certain twist to make it worth-while and I usually know within seconds, if I can get there. I scrapped only one track, for which I had already recorded the rhythm section, when I found out that it did not sound good on pans and that I could not bring it any further. IV. For those who may be unaware, would you mind briefly describing how a steel drum/pan is typically played? How many different types or styles of steel drums can be heard throughout The Serpent's Mouth? Once the instrument is made with its wok-like sink and hammered tone fields out of an oil barrel, you play them with rubber-tipped wooden sticks. In physical acoustic logic, the bigger the field, the lower the note. Orchestral bass pans have as many as 6 to 12 barrels. We have two different "tenor pans," which are the highest and despite their name, sit in the soprano range; and one "double second," which consists of two drums (as the name implies,) together, making one chromatic instrument. That gives us the range of a horn section, while the lower registers are covered by bass and electric guitar. V. Now, I instantly recognized Dr. Dre's "Xxplosive," Mobb Deep's "Burn," Amerie's "1Thing," and Gang Starr's "All for The Cash," but what else appears within The Serpent's Mouth? There's also, a cover of Lennie Hibbert's "Real Hot," which, itself, is a vibraphone-led instrumental of the Rocksteady tune, "Tonight" by Keith & Tex. This came so naturally, playing the vibraphone lines on steel drums. Then, there's "Crockett's Theme" from Miami Vice. I always loved that melody and its cosmic vibe and I am thrilled how it works without synthesizers. Not to forget Mary J. Blige's "I Love You" with the memorable piano line from Isaac Hayes' "Ike's Mood." VI. What exactly is the album title, "The Serpent's Mouth" intended to mean or convey? The Serpent's Mouth is the 8-mile strait between Venezuela and the South-western tip of the island of Trinidad. This sea passage—with all its beauty and danger—is a synonym for our musical travels on this album. VII. What does Bacao Rhythm & Steel Band's typical recording process generally entail? How does a song, such as "Great to Be Here" (The Jackson 5) for example, get re-imagined and created from start to finish? It always starts with the rhythm section. The drum sound, in particular. Then, the different steel instruments are arranged in sections: the lower "double seconds" for chords, doubling the bass guitar line, as in "Great to Be Here," and the high "tenor pans" for melodies. If there are counter melodies, we add horns. You hear a lot of interplay between pans and horns on the album. VIII. Following a string of 7-inch singles on Mocambo/Plane Jane, what made you decide to start releasing BRSB's music exclusively on Brooklyn-based Big Crown Records? We had been putting out 45's on our own Mocambo Records label and then, Danny Akalepse—then, of Truth & Soul—approached me. We swapped some records and he, then, told me that The Bacao version of [50 Cent's] "P.I.M.P." was smashing dance floors. I had already [been] thinking about following the singles with a long-player, but took some time, as I enjoyed keeping the mystery of the band. Danny not only encouraged me to, eventually, do the first album, but provided great ideas and inspiration. Truth & Soul and then, Big Crown are among my favorite labels and to have someone in The US does certainly help to reach a wider audience. IX. Have you taken any inspiration and influence (direct or indirect) from Big Crown co-founder Leon Michels and his band, El Michels Affair's Wu-Tang Clan-flipping Enter: The 37th Chamber & Return to The 37th Chamber? Not so much, at first. When we first did "P.I.M.P." there were a couple of Funk bands doing versions of Hip-Hop staples that were based on Soul samples, so they were basically re-playing stuff that had already been played by a band. The clue with "P.I.M.P." is that the steel drums on it are from a keyboard, so we re-imagined it as if it would have been a "band original" with real instruments. Later on, when I signed with Big Crown, I would, of course, have a closer look at El Michels' work. Leon's Wu-Tang interpretations are amazing; he really took it somewhere else. I could never have done that, especially, when restricting yourself to just one band. X. 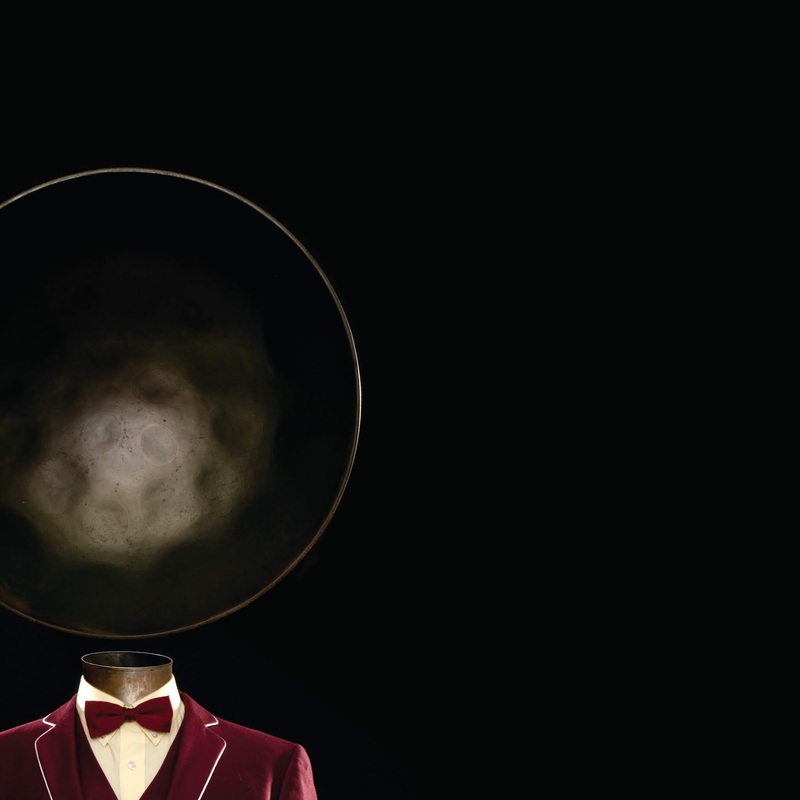 Why have yourself and your fellow BRSB band mates chosen to remain largely anonymous and instead, have been represented by dapper-dressed, alien-like steel pan drum-headed creatures on your album covers and public imagery? Who designed 55 & The Serpent's Mouth's album sleeves? There was a lot of mystery around the first 45's. Instead of promoting them as a side-project of The Mighty Mocambos, we left it open as to who was behind the band, as we wanted the music to speak for itself. It went as far as people taking it for an obscure group from the 70's that had provided original samples. People like to create their own "head cinema"—they need aliens and fantasy in their lives. An accurate group shot would not represent the music we do. Our passport names are on the record, though. The art direction is by Danny Akalepse, Sesse Lind took the photos, and Nicole Ras did the graphic design. XI. Amidst an album largely full of re-imagined covers, there are a few original pieces featured within The Serpent's Mouth, correct? Would you mind briefly speaking on these original Bacao Rhythm & Steel Band compositions? Half of the songs are originals. We enjoy great creative freedom, when it comes to our own compositions. The greatest thing is that we are not supposed to be a real "steel" band, but a Funk band with a section of pans, which is something that does not usually exist—so, there are no rules or boundaries: we can set our own standard. Take the title track: there are 10 parts made out of 5-6 different ones, which never appear in the same order. The best part of writing our own music is to combine the pans with the horn section—the possibilities are endless! Apart from the "get down" aspect that runs through most of our tracks, there is always a cinematic vision behind a song, which should take the listener to another place. XII. Now that The Serpent's Mouth has been effectively unleashed into the world, what else does The Bacao Rhythm & Steel Band have planned for its release roll-out (ie: singles, music videos, tours, etc.)? There will be more singles. We love 45's. The band is not touring regularly and does not intend to do club or festival gigs; however, we like to do shows in a special context, say, award shows, TV, or a surprise two-song set within a Mighty Mocambos show. XIII. Do you have any immediate plans to perform or record vocal versions of your BRSB covers with any of the original artists? Have you ever gotten any particular responses/feedback from either the original artists or their camps? I would certainly not turn down an offer to perform with the original artists, but it's nothing I have planned for. We've received great feedback from some of them, though: DJ Hi-Tek, for instance, said he dug our version of "Round & Round" from the first LP. We had really hoped to play our version of Mobb Deep's "The Learning (Burn)" to Prodigy, but he sadly, passed away before we finished mixing it.